Looking for food, Night Hawk soared high above Gaia's nest of the western North Dakota territory. 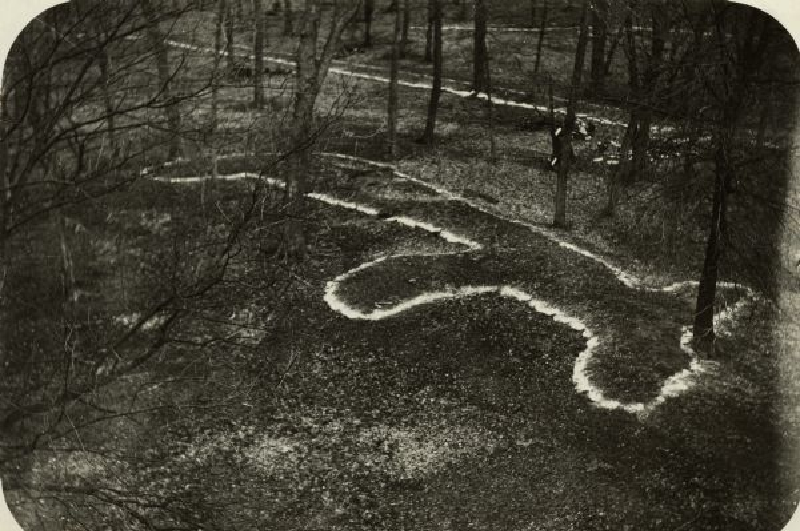 Searching, seeking intently, the effigy of a snake was spied. Slowly descending as not to frighten or startle, upon landing Night Hawk was amazed to find this serpent had been mostly hidden, blended with the terrain concealing it's several hundred foot length, resembling nothing seen before. Realizing the serpent couldn't be carried back to the nest, about to leave, the Snake spoke..asking what Hawk was searching for..? Night Hawk became startled, growing anxious thought, what could this behemoth want..? Hawk responded that as an elder, he had been sent in search for food to quell the hunger call of Gaia's young. Serendipitously the Serpent replied, I cannot help you with food for I am destined to slither below animals of this land, eating dirt as I go causing enmity from head to heal of life's great cycle; if it is knowledge you seek, climb back into the skies under the heavens and circle, for located at the 100th meridian starts the great truth - to the west lies petroglyphs in sentinel settlements, and to the east lies the Great Mounds of Truth builded by the great-Grandfathers. Fly to the southeast with your eye to the horizon; spot the large striped earthen Mound in the bayou, right before the waters of the lapping sea. 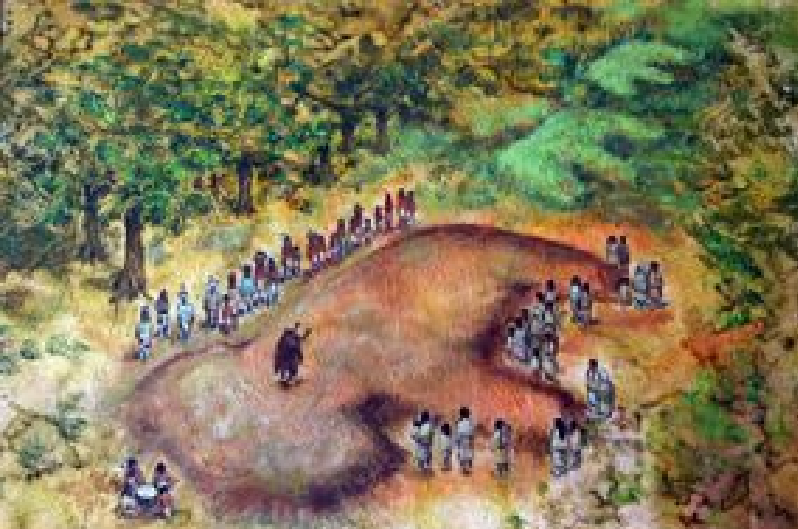 Make your way up the great-winding river to Grandfathers grand spiked-mound, then further to my ancestor, the great Snake of Wisdom. Visit each site along the way for they will fill the desire of knowledge and wisdom great Hawk. When you have justified each totem, only then circle through the heavens. Know ye in your soul what you find, then go back and teach your young what has been shared of Earth-mothers flight, the eclipsed knowledge of grandmother Moon, and the whispers of Father-Sun. 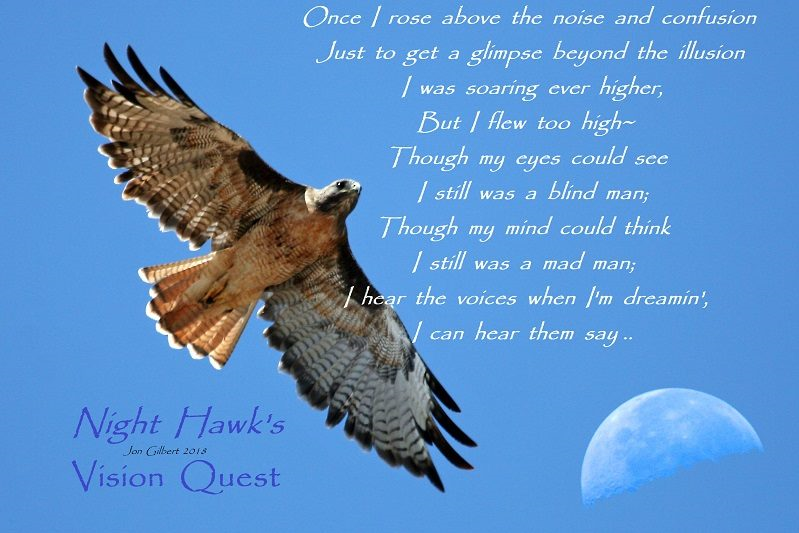 Night Hawk's hunger distilled with these words. 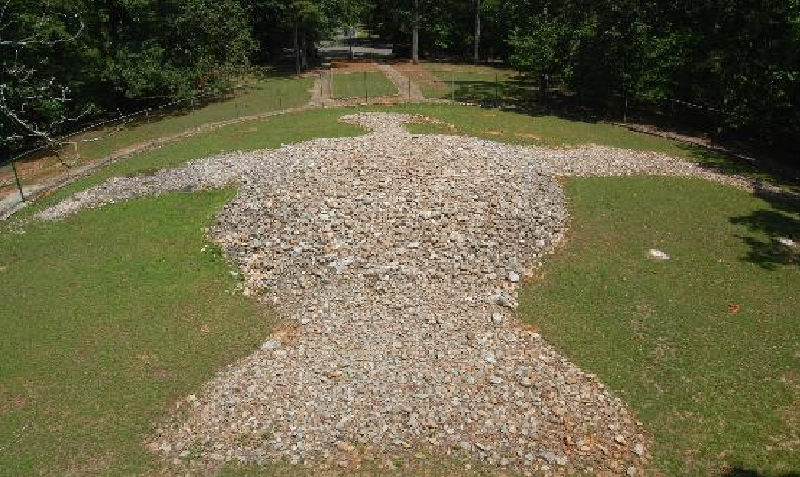 With new vision, Hawk cast into the horizon seeking, searching out the sacred semi-circled mounds of Poverty Point and Serpent Mounds solstice sacrifice. 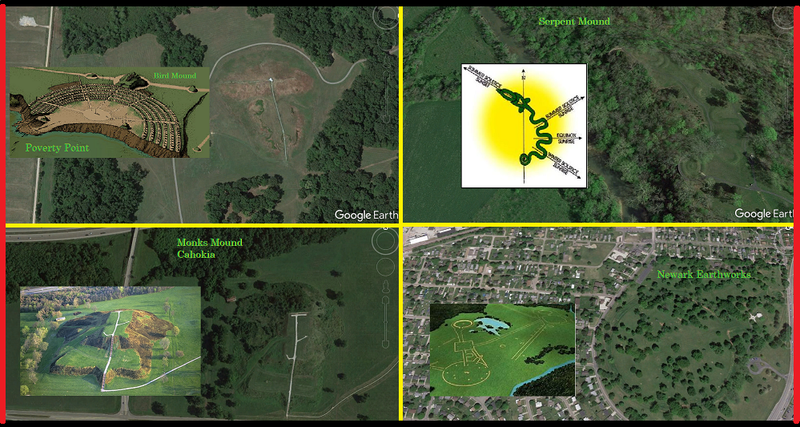 Moving north to Cahokia's time-revered Monk's Mound, Newark grand-Earthworks and many smaller sites along the way, knowledge of the totems commanded sacred wisdom. Journeying east ending at modern-day NY's Penn. Station with another large serpent measuring 130 meters. 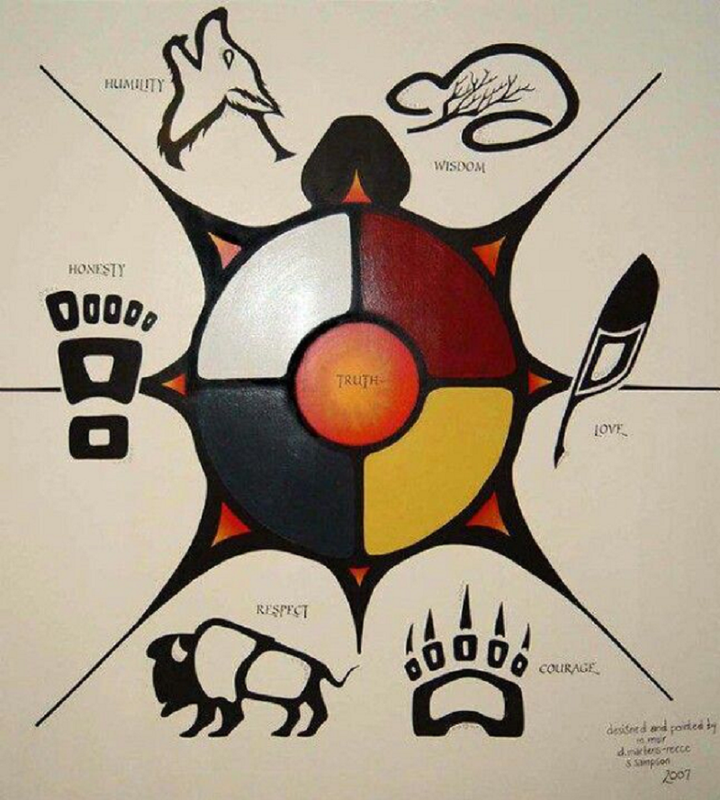 The Seven Sacred Teachings, also known as the Teachings of the Seven Grandfathers, is a set of teachings on human conduct with and towards each other. Eagle (Love) - The eagle represents love because he has the strength to carry all the teachings. The eagle has the ability to fly highest and closest to the creator and also has the sight to see all the ways of being from great distances. The Eagle's teaching of love can be found in the core of all teachings, therefore an eagle feather is considered the highest honour and a sacred gift. Raven/Sabe' (Honesty) - Honesty is represented by either the raven or the sabe. They both understand who they are and how to walk in their life. Wolf (Humility) - Humility is represented by the wolf. For the wolf, life is lived for his pack and the ultimate shame is to be outcast. Humility is to know that you are a sacred part of life. Turtle (Truth) - Truth is represented by the turtle as he was here during creation of Earth and carries the teachings of life on his back. The turtle lives life in a slow and meticulous manner, because he understands the importance of both the journey and the destination. Beaver (Wisdom) - The beaver represents wisdom because he uses his natural gift wisely for his survival. The beaver also alters his environment in an environmentally friendly and sustainable way for the benefit of his family. Buffalo (Respect) - Respect is represented by the buffalo. The buffalo gives every part of his being to sustain the human way of living, not because he is of less value, but because he respects the balance and needs of others. Bear (Bravery) - Bravery is represented by the bear. The mother bear has the courage and strength to face her fears and challenges while protecting her young. The bear also shows us how to live a balanced life with rest, survival and play. 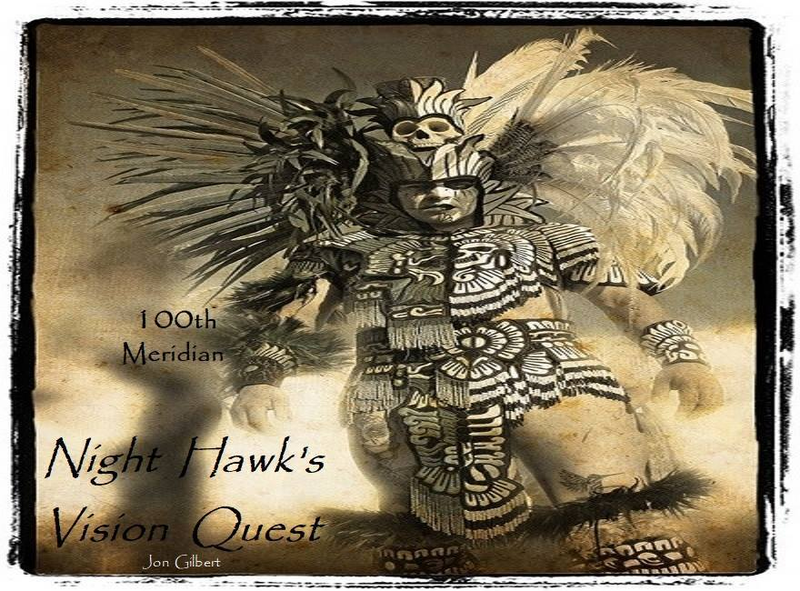 Within this lands great earthworks Night Hawk recognized his fellow creatures and their sacred teachings..he also recognized what the geometric shapes built upon the Earth taught..
Learning these sacred teachings, following Hopi Kachina customs and homeage of Orion, down to Chaco Canyon and the Anasazi Sun-dagger. 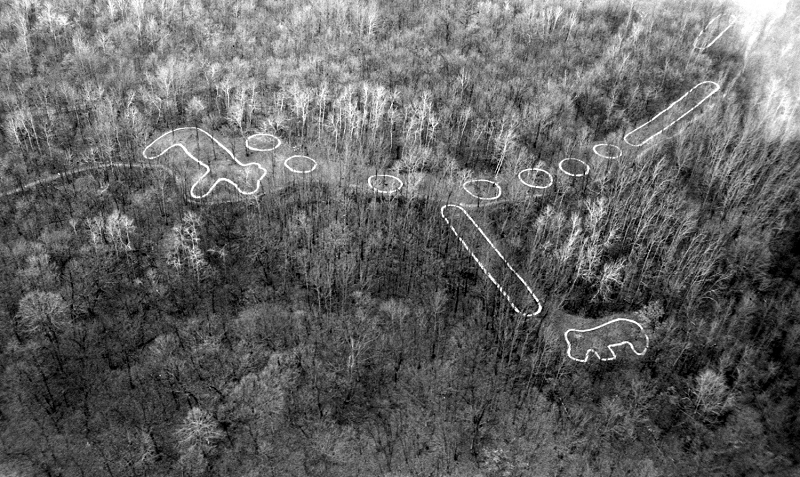 Like the many strings of the sacred Dream-catcher, the history of the Petroglyphs and Mounds were linked, spoken and stored. Spying Chaco's northern-trail pointing to the heavens, beckoning as an ancient wing of solstice light, Night Hawk again took flight, departing once more, and on the words of the Serpent, flew high - higher than ever before, and lost in thought in all learned along the journey, Hawk had returned to the time of the Void.. Here he witnessed the Great-Grandcestor's creation; heaven and earth. The grand Phoenix appeared and Hawk saw light, that it was good; dividing light from darkness. The light was called Day, and darkness called Night. Hawk witnessed evening and morning of the first fire. Great-grandcestor constructed a web giving grandmother-Spider domain over; the web, to be a firmament in the midst of all waters, made was the firmed-web, divided the waters which were under the firmament from the abyss, which were above the firmament: and Hawk saw it was so. Great Grandcestor called the firmament Heaven. And evening and morning were the second fire. The waters under heaven were gathered together unto one place, dry land did appear: and it was so. 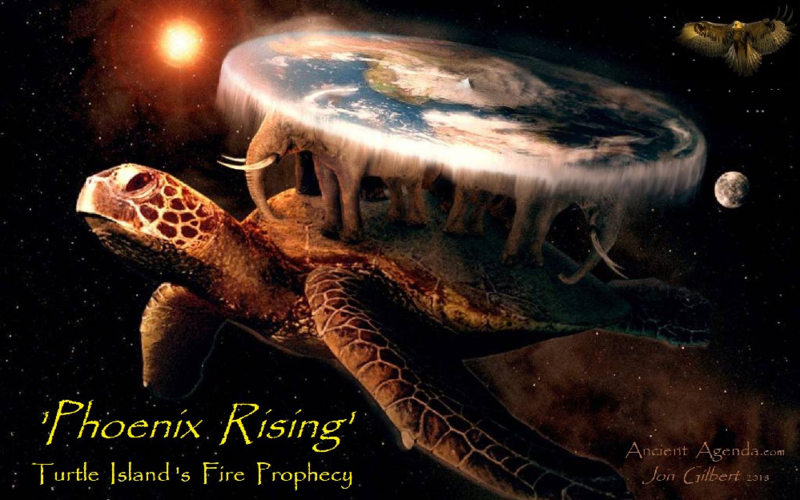 Dry land was called Earth; the gathering together of the waters called Seas: Hawk saw great-grandmother Turtle carrying mother-earth in the heavens, that it was good. To Earth, great-grandmother Turtle nurtured, bringing forth grass, herb yielding seed, fruit tree yielding fruit, seed all in itself, upon the earth: and it was so. And evening and morning were the third fire. And so it went until the sixth fire was started..
Sound ceased; all was still as the heavens began working like magic medicine to a spoked wheel; so began the seventh fire day..a day of rest and observations. Mesmerized, Hawk could see grandmother-Turtle swimming in the oceans of the cosmos carrying Mother-earth on its 13 crowned shell-back. Here great Grandcestor silently shared the knowledge of the thirteen moons on a turtle’s back. 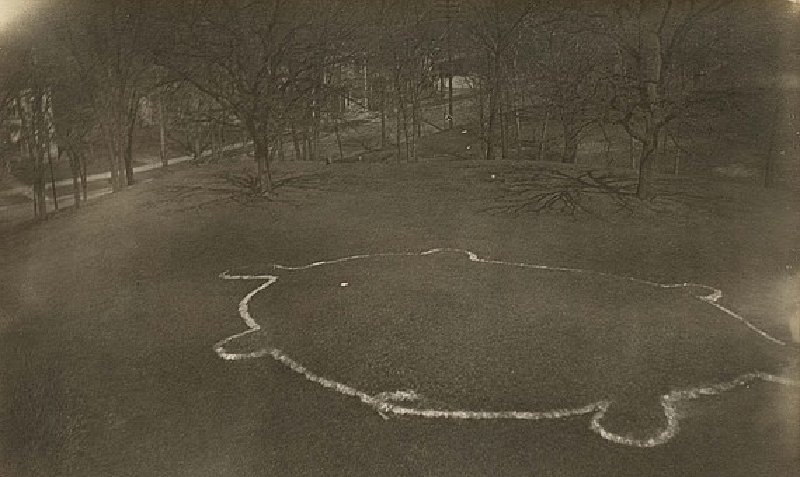 Night Hawk was taught to examine the sacred segments on the back of the turtle. There are thirteen large segments which represent the thirteen moons which make up the lunar year. 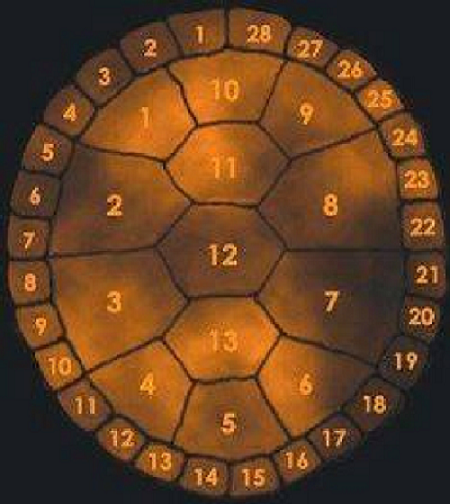 By counting the smaller segments around the lower edge of the shell, you will find there are 28, which represents the 28 days between new moons. It is the calender in which shows importance, as each individual contains a story of their own. The significance to why the numbers go counter-clockwise is in regards to Sunrise and Sunset. Each of the thirteen moons has names and there are stories to go with each new moon. The names of the moons and the stories that accompany them vary, but each is descriptive of the season in which the new moon appears. Grandmother Turtle's shell also keeps track of women's monthly cycle and the months of a pregnancy leading up to her due date. 'We must never take others things; We must not lie or be greedy. We must never know any woman besides our own; We must share our subsistence with those less fortunate, we must give generously and joyfully. 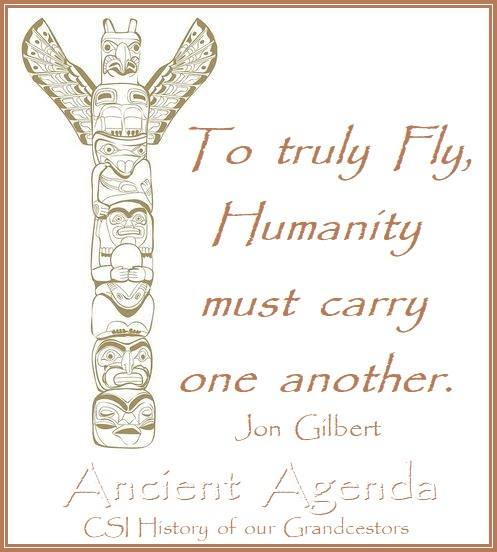 ..and so learned the ways earth's 13 tribes did from ancestor Night Hawk. The effigies of mounds share this knowledge, the canyon etched petroglyphs echo this history..and every now and then when the Wolf of howling thunder drags his paw across the skies, we are reminded of Night Hawks voice whispering the great-Grandcestor wisdom to be spread by the Raven, the Eagle..and safe-guarded by the Owl..to be known we are ONE with all under the wide-wings of Grandcestor Phoenix. Gather Earths children - sit amongst the elders; form the sacred hoop circle to Life..hear the omega-alpha words of great-Grandcestor..free the vision. 'When the Earth is ravaged-and animals are dying: A new Tribe of people shall come unto Earth. A sacred nation of many creeds and classes-whom by their actions shall make the Earth whole again. to the northern Great Lakes of the Algonquin..warriors of all colors to the rainbow..the 8th Fire Prophecy; this is the wisdom of the sacred Totem-pole..